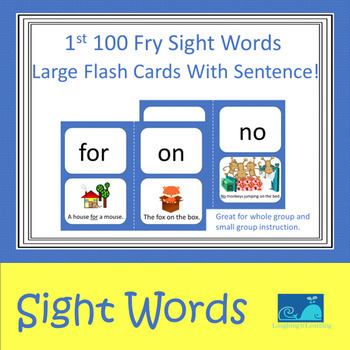 1st 100 Fry Sight Words Large Flash Cards With Sentence! 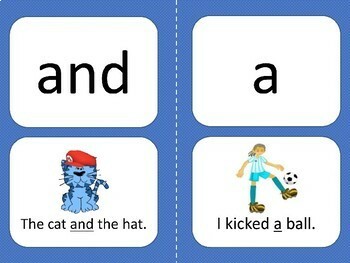 These flash cards include fry's first 100 words with pictures, and sentence. 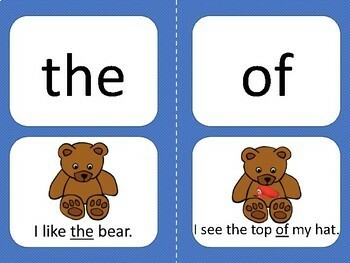 These are large flash cards (half a sheet of paper). 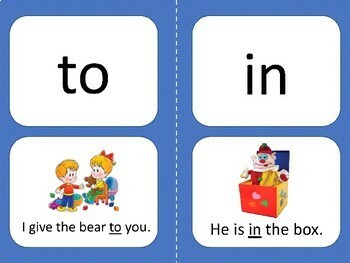 They are great review for whole class or small group instruction.